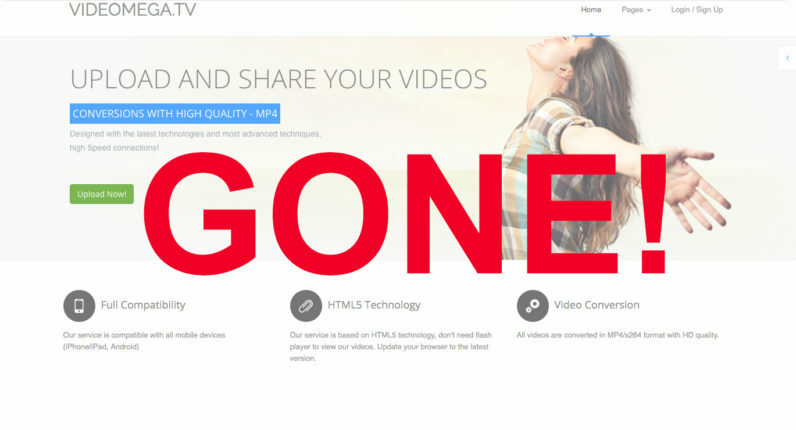 Massively popular file-hosting service Videomega has abruptly disappeared from the face of the Web, leaving behind a litany of unsettled payments and a slew of vexed uploaders, TorrentFreak reports. While the website dropped out of sight alongside the site admin almost a week ago, the reasons for the vanishing still remain unclear. Videomega first appeared on the scene in 2012, but has quickly made its way into Alexa’s top 500, ranking ahead of competitors from the likes of Uploaded and 4Shared. Similar to other services in the niche, the website operated an affiliate program allowing uploaders to earn money from the videos they host based on the traffic they attract. Unlike some of its competitors, however, Videomega was more lenient with handling copyright complaints. This made the service particularly popular with third-party indexing websites looking to profit off of generating views. According to TorrentFreak, numerous enraged uploaders have come forward, claiming the file-hosting service owes them hundreds of dollars in fees. But similarly to Videomega’s website, the site operator has also vanished without a trace. As no raids or arrests have been announced recently, many uploaders are speculating they’ve simply been swindled out of cash, but this remains yet to be seen.